Lahiri’s sumptuous writing prevails over simple, boxed plot. NEW YORK: A consummate player of a yo-yo knows a trick termed a sleeper, where the unspooled yo-yo is almost sedentary in posture as it spins on its axle, before returning to the hand that threw it.Variations of yo-yo tricks include the device rolling on the floor without collapsing, returning to the hand with its revolutions intact, before being hurled again for another routine.In her latest offering The Lowland, Jhumpa Lahiri wields the reins of the story with the authority of a champion yo-yo player. The novel is her fourth book – all of them weaved around the theme of dislocation of immigrants, cultivating the angst of those pining for the ones who left; the late knowledge in life for the ones who left that there are no places to hide in this world, especially from one’s own guilty self. Cultures for Lahiri is both hyper-local and disingenuous, a fickle companion to build a foundation upon when it comes to matters of the sub-conscious and the soul, helplessly drawn to shores far away when assimilated life beckons from close by. She effortlessly creates conflict in comfort, comfort in conflict. In The Lowland, Lahiri also seems to have unfinished business left from the Bengal of the sixties, the period from which her previous, debut novel The Namesake also emanated from. Both are family sagas, both feature a couple catapulted to America from Kolkata, to live a life which at least one of them – the wife – did not plan for emotionally or psychologically, then delivers a baby. Elements of discord and alienation, hope and rejection, love and loss between spouses in The Lowland are themes that were nurtured in The Namesake, as well as her past two story collections, Interpreter of Maladies and the Unaccustomed Earth. The Lowland, steeped in the violent and outlawed Naxalite movement of the sixties, revolves around the lives of brothers Subhash and Udayan, in Kolkata, and the enigmatic Gauri, the woman destined to become the wife of both of them. 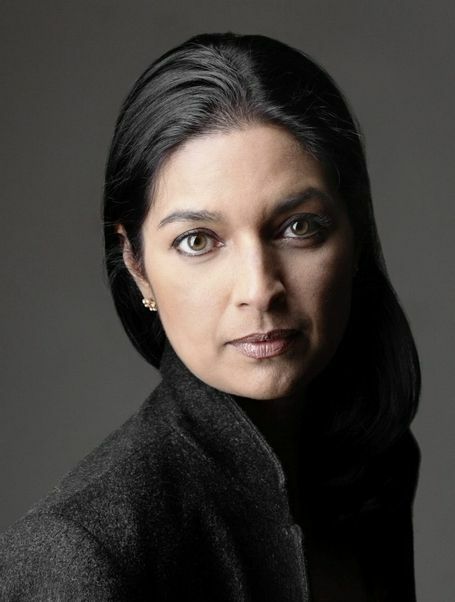 First, to the charismatic revolutionary younger brother Udayan,whom she loves, and then when pregnant with his child, marries the sedate and moderate scholar Subhash, who studies and lives in Rhode Island, after Udayan is shot by the police. His death, though, remains a mystery that hovers like a jack-in-the-box that threatens to startle the reader at any turn of the page throughout the book. Subhash convinces Gauri to marry him for the sake of the unborn child, even though his parents oppose it.Gauri sees it as an escape from the place where everybody, except her brother, has rejected her, for her alliance with Udayan and his incendiary politics. In America, Gauri caves in to her first love – the study of philosophy. She starts to focus her attention and more time on taking classes at the local university, even as Subhash becomes the role model of a pristine father to Udayan and Gauri’s daughter Bela. His greatest fear is the child coming to know that he is not her real father, even as his marriage to Gauri starts to crumble. Bringing matters to a head are Subhash’s ageing parents in Kolkata, whom he finds increasingly hard to ignore, and yearns to take care of. Lahiri superbly juxtaposes the tug-of-war between Subhash’scomfortable life on the East Coast in America versus the debilitating life of his parents on the East Coast in India, where his intrinsic memories also live on;he cannot tear away from. Like a patch of land at the back of his house in Kolkata, which becomes submerged during the monsoons– a lowland – and emerges again when the rains abate, showing also two distinct ponds side by side separated by an embankment, the two cultures he wears and breathes, often become inseparable,distinct at the same time. After the death of Subhash’s father, his mother, who is going senile, starts to clean the detritus of the two ponds with her bare hands – the rotten waste she surfaces symbolic of her and her husband’s dashed ambitions and hopes of living in a joint family with their sons and families, the modern indestructible plastic refuse uncovered, of negligence by her sons. Spanning over six decades, the constant flashbacks and non-sequential narrative – used by Arundhati Roy to great effect in The God of Small Things– gives The Lowland a rhythm similar to a thriller. Lahiri’s incisive, detailed prose of small and big tragedies, in the intense minimalist style of Raymond Carver, which lands like snowflakes without leaving traces of water, builds in momentum only as decades go by in the novel. Life unspools like a trusted yo-yo from her practiced hand. 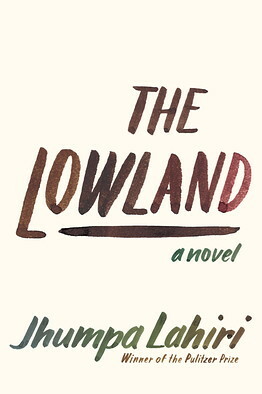 Despite the great writing of Lahiri, The Lowland has, however, its flaws that define it also, stays with one after done reading the book. The research heavy early chapters, on the Naxalbari movement, and then the ultimate realization that here is a novel which defied conventional wisdom – to let it gain life in itself as it rolled on, but instead was scripted to perfection, is an aberration too. The plot is simple, boxed in, conclusive, the course of the lives of most of the characters chalked with studied finality; seem to have halos of ghosts of other characters from her past books. The act of rebellion by Gauri for self-identity and the way she charts her independent life in America, stands out. Her unjustifiable character and the shades she’s given, is perhaps a way out for Lahiri to turn the tide of a routine in a story that had otherwise the makings of a repetitive throw of a yo-yo, yet again. There is also a nagging feeling that the theme she espoused in her short story The Third and Final Continent in Interpreter of Maladies – would resonate in The Lowland too, like it did in The Namesake. And it does. The empathy, love and goodness that Lahiri generously heaps on some characters, who seem infallible to wickedness, permeates Subhash too, like it did Ashoke in The Namesake, and the narrator in The Third and Final Continent. Yet, this goodness that Lahiri imbues her characters time and again, combined with the clarity of her marvelous writing, prevails, make the book memorable.